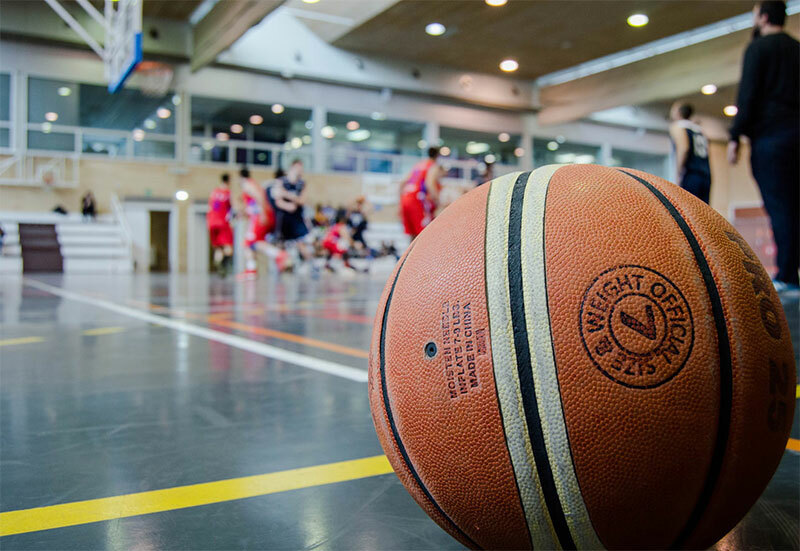 Playing basketball is an effective way to burn calories, and consequently, burn fat. As explained before in ‘How Effective Is Basketball at Burning Fat?’, playing the sport is “one of the most vigorously active sports in which you can participate; therefore, it is “a super way to burn away unwanted pounds.” Playing basketball is physically draining and that is why players have to keep certain nutrition requirements so they can compete at a high level. In this regard, common knowledge suggests that basketball players must have large stores of carbohydrates from healthy food, like whole grains, fruit and vegetables. The paper ‘Carbohydrate Requirements of Elite Athletes’ underscores the importance of carbohydrate intake, stating that a “key factor in coping with the heavy demands of exercise faced by elite athletes seems to be carbohydrate intake.” In other words, carbohydrate intake affects performance. Players who have consumed enough carbohydrates will have enough energy to play at a high level, while players with insufficient carbohydrate intake will generally tire easily, as they will have very little energy once their carbohydrate stores are depleted. Fat is needed too, but in much smaller amounts. It is utilised during the game’s less intense moments, when players stop play after a whistle or when they jog during the quiet moments of a game. What happens is that the fat is used in the production of aerobic energy, which is mostly to facilitate recovery. This process reduces fatigue, thereby allowing players to go full-tilt once more when the intensity picks up. Protein is another important nutrient that basketball players need. The Association of UK Dietitians explains that protein “is required for building and repairing muscles and plays an important role in how the body responds to exercise.” In other words, protein is a perquisite for both muscle building and recovery. As any basketball player knows, building muscle is key due to the physicality of the game. Recovery, on the other hand, helps players train and play frequently across a short space of time. Given these nutritional requirements, it’s no surprise that elite basketball players take their nutrition — and by extension, their diet — seriously. Take, for instance, the Gasol Brothers, arguably Spain’s best and most popular exports to the National Basketball Association. Pau and Marc are very particular with what they eat, cognizant of the fact that they have specific nutritional needs. Marc is very hands-on with what he eats, especially with his history of being overweight. The younger Gasol tried various diets, and his decision paid off; he has slimmed down considerably, and is now widely regarded as one of the best big men in the league. Another player known for being notoriously particular when it comes to his diet is LeBron James, a nemesis of the Gasols in international competition. LeBron James earns £61.5 million (€7.17m) a year and the four-time MVP is the second biggest earning sports star in the world. His talent is obviously undeniable, but his devotion to fitness and nutrition certainly helps his cause. Curiously, James went with a drastic no-carb diet prior to the 2014–2015 season. That diet, admittedly, is contrary to the carbs-as-fuel point raised earlier, however, James, like the Gasols, is an elite-level athlete. That means his nutritional requirements are a bit different from the requirements of other basketball players. Not to mention, athletes like James and the Gasols know how to utilise and optimise their energy systems so that they are fuelled both aerobically and anaerobically. Needless to say, nutrition is key to great on-court performance. Conventional thinking, would suggest plenty of carbohydrates, a good deal of protein, and some fat. Then again, you should always assess your individual nutritional needs and find out what best works for you. Next post: What have I been doing lately? Basketball is fun at any age and level!! Lots of great information Chape, yet again! LeBron is one of my personal heroes, because he played for my city (Cleveland) for many years and helped us win our first championship in over a century. I have no desire to try his no-carb diet, however! Lebron is unique, and I understand why he is a legend in Cleveland ;) I have other personal heroes, but I have no intention to argue who is the GOAT, LOL!! Yes, I’ve never heard of the carb-loading phase of no-carb diets! LOL! That´s a question for another day. About the no-carb or low-carb diets. These diets aim to burn fat, but they also empty the glycogen reserves in the body, which make you feel tired and look your muscles flat. After a low-carb diet always follows a carb-loading phase to recover that glycogen.